WAEC to cancel entire results of candidates caught with phones. “Candidates who engage in examination malpractice will not only have their results cancelled, but may be prosecuted”. Continue reading below…. 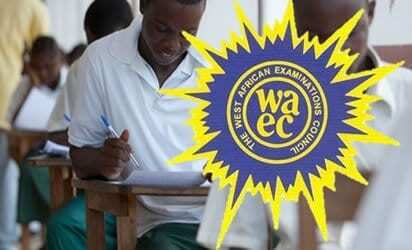 WAEC to cancel entire results of candidates caught with phone. West African Examination Council (WAEC) has said any candidate that comes into the examination hall with mobile phones or any other electronic gadgets will have his or her entire results cancelled, as it begins registration for second series of West African Senior School Certificate Examination (WASSCE) for private candidates. This was contained in a statement signed by the Council Head of National Office, Olu Adenipekun. He said, “Candidates who engage in examination malpractice will not only have their results cancelled, but may be prosecuted”. “Walk-in-Candidates” provided they register not less than twenty four hours to the scheduled time of the paper (s) they intend to write, saying their fee is 25,000. See also: Police Arrest Syndicate of Leaked WAEC Questions and Answers. He also urged the candidates with special needs to also register online like other candidates but they must clearly state their disabilities. The Council said candidates must ensure that their entries are correctly completed before uploading as the Council will not be held responsible for errors in candidates particulars. According to the council, request for correction will not be entertained on any information which a candidate voluntarily gives at the point of registration as soon as the examination commences.